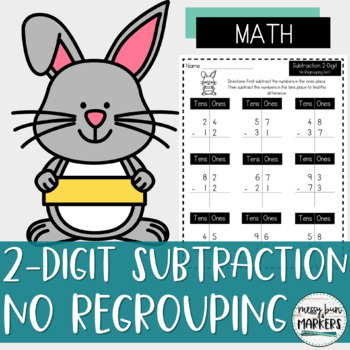 These 2-digit subtraction pages are great for the end of first grade, or review at the beginning of second grade! 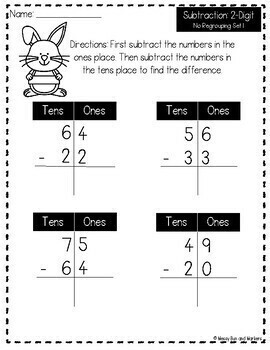 Worksheets start off simple with the tens and ones clearly labeled, then move on to subtraction practice pages without the tens and ones labeled. 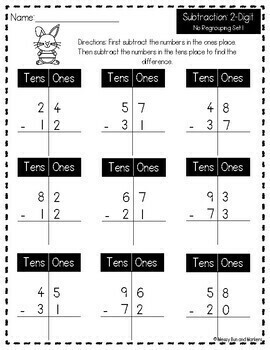 There is also a spinner game!